For our twenty fifth wedding anniversary my husband and I planned a trip to California with our son and his wife and little grandson, who was born on our anniversary!! Our first grandchild born on our anniversary was really special, we thought! We also thought it was time to replace our gold bands for new rings. His came with a design and this time mine had diamonds in two rows across the top. I was so excited and even thought of leaving my ring at home. You see, I’ve never been good at keeping up with my jewelry anyway. To get the best deal on airline tickets for four adults and a baby we had to fly out of Knoxville, Tennessee which is about two hours from where we live. We had to leave very early in the morning with all our suitcases, carry on bags, stroller and extra baby gear to head to the airport in time to park the car and check in early, leaving us with two hours of waiting time. Plenty of time to get a good breakfast for the long flight ahead. The flight was direct and we all slept a good bit of the way, even Austin who was almost one. When we landed in LA we were rested enough and thought we’d go visit where the Chinese Theatre is and look at the famous foot prints of movie stars from the past. Hollywood is several blocks of wax museums, book stores, coffee shops, gift shops and places to eat. This is also where the Red Carpet Academy Awards are held each year at the Kodak Center. We had a wonderful time and spent many hours relaxing before heading to Santa Barbara to really start our vacation with my sister and her family who lives there. When we got to the parking garage where our rented extended van was, I looked at my finger and noticed my ring was no longer there! My husband said, “let’s go back and look for it”. I thought, LOOK WHERE?? We’d been in all the little shops and had coffee one place and lunch another. It was impossible, like looking for a needle in hay stack. The two hour drive to my sisters was the quietest everyone had ever been. I was crying quietly in the passenger’s seat up front and even my grandson felt something was wrong so he never made a peep the whole way! We were greeted at the door with happy faces and my brother in law, George, had prepared a delicious dessert we all usually enjoy . The others ate their dessert but I went straight to bed and cried myself to sleep. I felt sorry for myself and my prayers weren’t very worth while. 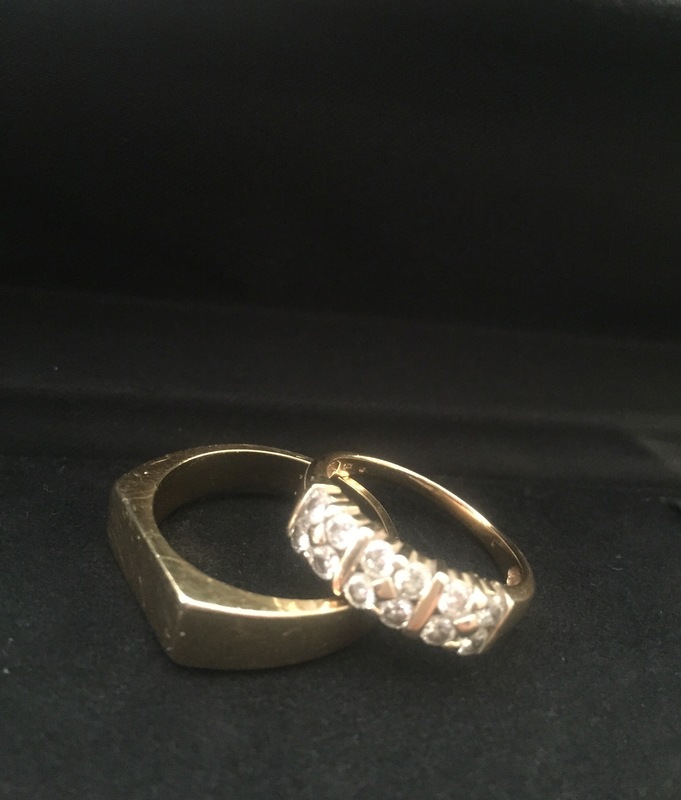 But as the days passed I began to accept my fate and I started praying that someone in need would find the ring and feed his or her family with the money they received from selling it. Let it bring new life or meaning to someone else. I didn’t really need it to survive anyway! So each night I cried a little less and prayed a little differently. We had fun and went to the places we had planned. Walks on the beach everyday. Great lunches from Brophy Brothers Seafood Restaurant on the Santa Barbara Pier to Stella Mare’s French Country Cuisine at the Bird Refuge there. We even found time to eat tacos with handmade taco shells from La Super Rica Taqueria on Milpas Street. We visited the Old Mission on Laguna Street and went through the famous court house used in TV shows quite often.We drove to Buellton for Anderson’s best split pea soup and bought some cans of it to bring home. And we never go out west without driving to Solvang, stopping by some of the nice western towns along the way. 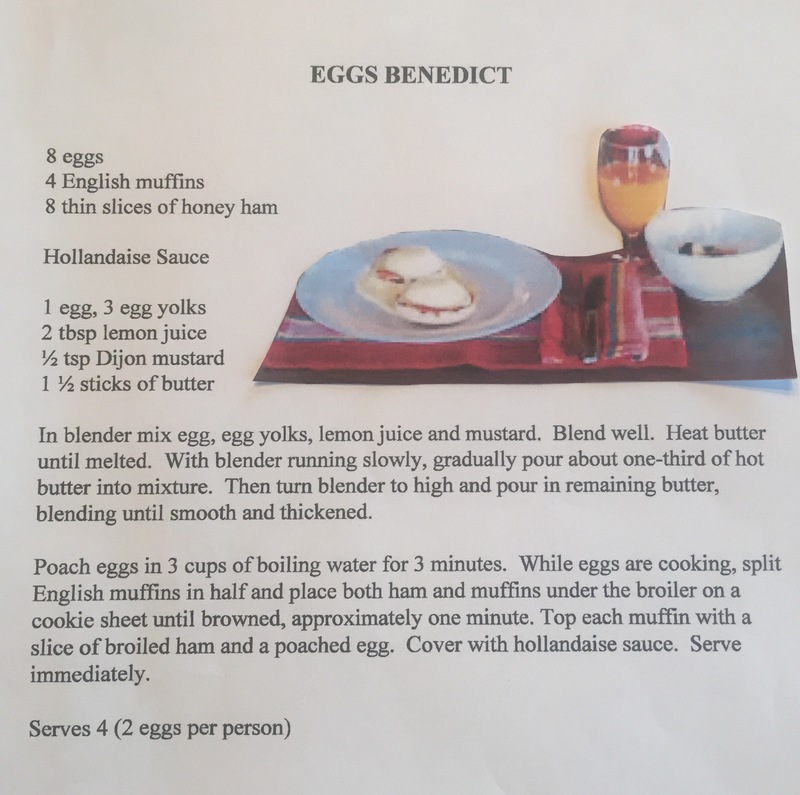 The last day came and my sister, Rose Carol, as we call her, fixed her families’ favorite breakfast recipe and I was going to eat every bite on my plate because I was sure God had answered by prayers and my ring was going to help someone in need. No more worrying over “spilt milk” for me! We spent the last evening washing a few things, packing our bags and preparing to leave the next morning. We wanted to get a good nights sleep for the day of travel that was ahead of us. The next morning we were leaving early enough so my daughter in law, Lisa, could meet her sister, who now lived in California, for lunch. Everyone was suggesting places close to the airport. It was a gift from God! Or my guarding angels working over time!! I have misplaced my ring several times since then, but I’m never worried that I won’t find it! If I can find an expensive diamond ring inside a store at the corner of Hollywood and Vine in Southern California, I could find it anywhere! ( with a little help from God, of course.) The security guard I was lead to was the person who personally found it buried underneath some T-shirts at a cash register and the store never expected anyone to comeback for it so they were detaining me at the store while someone from there took it to the police station. How I saw that store front in my mind the night before we left to go home is a miracle of some sort. But I know my prayers turned from selfish to wanting to help others! God is always in control and we often times just get in His way. Yes, Darlene, it’s amazing! I have had several experiences like that and so has Rose Carol. She calls it “whispers from God.” Hey, that’s another blog title!!! Happy New Year, dear friend. A modern day real miracle! We have an awesome God that cares about every detail of our lives. God desires our holiness above our happiness. He knows our hearts. You truly show us all your heart desire to serve others before yourself. Thank you for sharing your story about your ring miracle. It inspires me to be thankful for God’s gifts He gives me daily. I need to have a grateful heart like you did and realize joy follows gratefulness. People are so quick to blame God when things go wrong but forget to thank him for the small miracles He gives us each day. I had forgotten that story, but it truly was a gift from our awesome God!!!!! I love this amazing story! It just reminds us that God always knows where everything is and if we just listen to the still small voice He will help us find anything. Thanks for putting up our recipes. It is so funny that the day you posted them on your blog was the day we just happened to fix both dishes for our family in San Francisco for the holidays. Isn’t it fun to be on the same wave length? We’ve always done that wave length since we were kids!! i would love to hear from you! miss you! I remember this story very well. I remember actually not being surprised that you found your lost wedding ring in one of the largest cities in the world. Only the Brevard sisters seem to have this gift. Incredible! It runs in the family !!! i loved reading all this! it is nice to hear some history of the family i was ever so briefly a part of! leanna you look soooo much like your mama! rose carol, do you blog? i would so love to hear from you! I just love this story!! One of my favorites, for sure!! I’m glad!! And it was all true! God is good! !